On April 16th, the price of construction steel in Nanjing continued to fall, and the market's low resources gradually increased. In terms of rebar price, Nangang's 12-14mmHRB400 rebar price was 3,760 yuan/ton, down 10; Zhongtianyuan's 12-14mmHRB400 rebar price was 3,720 yuan/ton, down 10; Zhongtianyuan's 12-14mmHRB335 rebar price was 3,670 yuan/ton. Fell 10. In terms of wire price, Zhongtian Î¦6.5-10mm HPB235 wire price was 3830 yuan/ton, down 10; Magang Î¦6.5-10mm HPB235 wire price was 3750 yuan/ton, down 10. As for the price of spiral screw, the price of 8-10mmHRB400 disk coil from Yonggangshan Iron & Steel Group Co., Ltd. was reported at 3840 yuan/ton, down by 20; the price of 8-10mmHRB400 coil mill at Pinggang Group was reported at 3810 yuan/ton, down by 10. In terms of the market, the current period of the spiral gap continues to fall, the construction steel price in Nanjing has dropped slightly, and the market's low level resources have gradually increased. In addition, some low-priced steel resources in the surrounding areas have been put into use and the market price competition has intensified. According to statistics released by the National Bureau of Statistics today, the gross domestic product of the first quarter increased by 7.7% year-on-year; the electricity consumption in March hit the lowest level in 46 months, and the manufacturing industry experienced a downturn. 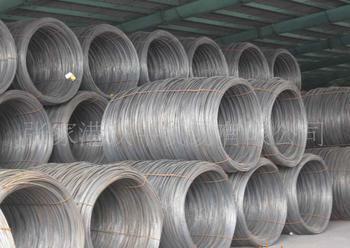 Considering that the current merchants still do not have much confidence in the price increase in the market, it is expected that the construction steel price in Nanjing will run short-term or weak.